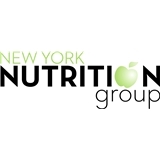 The NY Nutrition Group, PLLC (New York) - Book Appointment Online! She is very professional and caring. I would recommend her to my family and friends. I look forward to going back to see her again.